Custom Stepping Stone for Mom $19.97 Today - Perfect for Mother's Day! 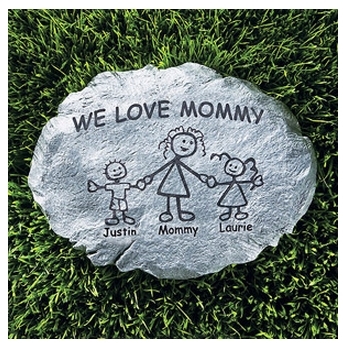 Custom Stepping Stone for Mom $19.97 Today – Perfect for Mother’s Day! Check this out! I got this LAST YEAR and love my custom stepping stone by my front door. Today pick up the Personalized Family Character Stepping Stone for $19.97! FREE site to store shipping or FREE shipping when you spend $50. Find more Walmart Deals on Frugal Coupon Living.